A spokesperson for Foreign Affairs Minister Chrystia Freeland assured that Canada is maintaining the integrity of the extradition process. "Canada is conducting a fair, unbiased and transparent legal proceeding," Freeland's spokesperson, Adam Austen, said in a statement provided to CTV News. "There has been no political involvement in this process. Canada respects its international legal commitments, including by honouring its extradition treaty with the United States." Trudeau echoed the assurance when he spoke to reporters in Saskatchewan on Wednesday. "We have always highlighted that Canada is a country of the rule of law, and we will make sure that the rule of law is properly and fully followed. That of course includes the opportunity for her to mount a strong defence," Trudeau said. With files from CTV's Michel Boyer and The Canadian Press. 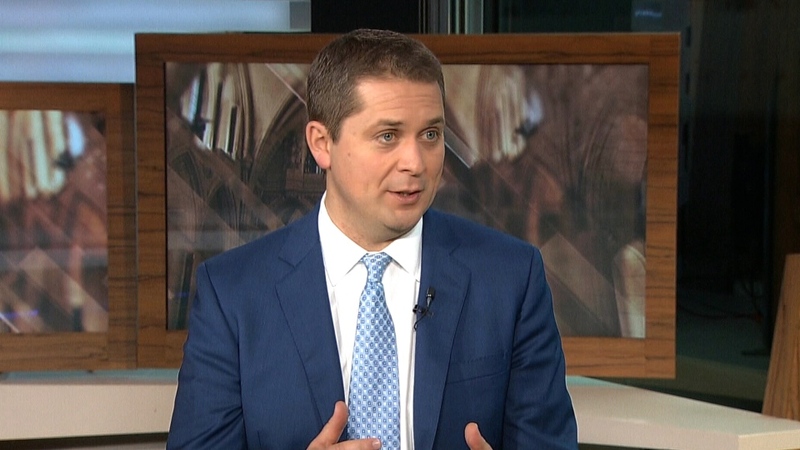 Conservative Leader Andrew appears on Power Play, Wednesday, Jan. 23, 2019.